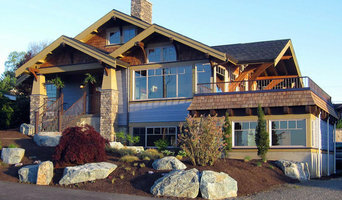 Coast to Coast Design offers affordable design services to homeowners and contractors alike. Our goal is to provide clients with exceptional service and products. A wide variety of products are also offered to allow us to further assist your needs. Please call and schedule an appointment prior to arriving at our office location. We may be out on a jobsite so in order to ensure that someone is there and available to meet with you we do ask for a call ahead appointment. Thank you! 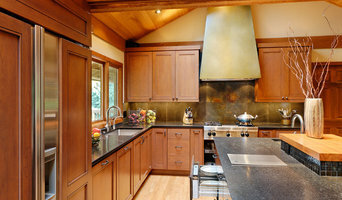 I have been working as a kitchen and bath designer in the Pacific Northwest since 2003. I love engaging with new clients, ascertaining their needs through various interviews and meetings and then collaborating as we build their finished concept together. The variety of design styles, room layouts and function changes so much between one person and the next that no two finished products are remotely the same. This fluidity allows for endless possibilities for exploration in my field. It keeps the job interesting and has always given me a particular sense of reward and accomplishment as we near completion. The greatest personal recompense in this chosen profession is being able to walk with a client through this process and come out the other side with that client feeling elated with the end result. I have managed upwards of 450 residential projects over 13 years. Ranging from modest makeovers to expansive renovations. My experience allows me the ability to hone in on the most intricate details of a kitchen or to value engineer a job to best fit a moderate budget. An award-winning kitchen & bath designer, Gail specializes in providing inspired creativity and masterful solutions for remarkable results. Using her 5 Essential Keys to Every Successful Remodel, Gail takes every project from functional beginnings to marvelous results with grace, ease and confidence. Designing and overseeing the creation of six of her own custom homes has enabled Gail to polish her design process to the delight of both the homeowner and their builder. One of the crucial aspects of design is at the core of Gail’s award- winning success – each project is owed its own special design identity. Believing that every client’s wish list contains unique aspects, she approaches new projects with a fresh eye on the design features as well as the functional potential. The assimilation of great design and creative functionality, blended with hands-on design implementation management, offers each and every client a truly amazing experience She is an interior designer with an MBA on a mission to remake the way we remodel. Her new book "Don't Remodel Without Me!" is launching soon! Crafting beautiful, comfortable, livable kitchens. The kitchen is the heart of the home, and yours should reflect your spirit and personality, as well as your home's setting and style. Sleek and modern or homey and comfortable? Practical or spectacular? We'll work together to create a distinctive, gorgeous kitchen that meets your needs and inspires your creativity. Innovative and unique design services firm providing highly functional layouts and interior space planning configuration for kitchens, baths, master suites & ANY other space. We also provide the same level of space plan sophistication for new construction from architectural drawings...greatly improving the feel and function of your impending home all while maintaining your architect's vision! Utilizing what we call "Adaptive Consulting" we target your actual needs and wishes. Then we couple that information with the available space (that we measure for you) and provide detailed drawings sets outlining exciting and inventive plan options that will engender incredible functionality for your project. These drawing sets can be used to help obtain permits as well as provide to contractors for bidding and building purposes. The initial consultation at your project is free of charge! Again, when accessing our services, you will get incredible design options and invaluable information that will arm you with confidence going forward in implementing your project! We charge as per the scope of the project rather than by the hour. Contact Brian Roberts at 206-294-1448 to set up your initial consultation! Karen Ellentuck, ASID, NCIDQ, principal designer of Ellentuck Interiors, is an award winning interior designer specializing in residential remodeling and custom furnishings. With 27 years of experience, she is more than qualified to guide you through your design project with great expertise. She prides herself as being client-focused working to assist her clients in creating spaces that they want to live in, hence, her tag line is "rooms with your view." Ellentuck Interiors is looking for clients who are interested in getting great design for their homes and appreciate the value of good design. My clients may know what they like but cannot put it all together and are willing to get where they want to go with this designer as their guide. Hatano Studio was founded in Kirkland, WA in 2009, after graduating from New York School of Interior Design and worked in architecture firm in NYC. She designs the entire house (both floor plan, interior, and exterior). She explores total design approach – flow of space (special plan), function, and materials to be cohesive. Love of the traditional Japanese architecture is cultivated and runs deep as she grew up in Japan. Clients appreciate her clean, sophisticated, balanced and elegant design aesthetics. Her design flows naturally, not forced. She also incorporates new technology, ideas and design materials. Yumi believes in a collaborative approach. Great relationship, trust, and synergy with all parties (client, designer, and contractor) generates the best results. Yumi provides thoughtful explanations to allow the client to make educated decision. She will treat your project as her own home. Relationship often turns to friendship. That is another rewarding part of this job. Prior to her career as an interior designer, Yumi earned her MBA and worked in the Financial Services industry as a programmer/business analyst/project manager in NYC for over 10 years. This experience will help your project be organized and detailed. Let us get the fun started! Welcome to the LEICHT SEATTLE kitchen design showroom — a partnership between LEICHT and YS BUILT united by our shared enthusiasm for craftsmanship and everything authentic, for long lasting values and timeless elegance. A leader in modern kitchen design, LEICHT is the largest custom cabinet maker in Germany, with worldwide distribution and over 85 years of production experience. LEICHT SEATTLE offers affordable, made in Germany, modern cabinets for creating a modern kitchen, in addition to casework for bathroom, utility room and closets. View our award-winning Seattle & Eastside kitchen portfolio and be inspired. With our vision and passion, we are developing the new, versatile lifestyle — sustainable, minimalistic, subdued, conscious of tradition yet future oriented — custom modern design for the art of living. 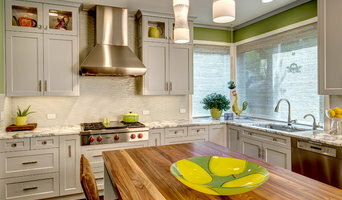 Elements Kitchen+Bath is an award winning, full service interior design firm, specializing in kitchen + bath designs. We offer an array of services that can be tailored to each client's life style to ensure a successful & enjoyable project. With a little inspiration, experienced guidance, proficient organization & valuable connections, Shannon Boyle, AKBD is here to guide you through the design process from concept to completion. Candace Nordquist, CKD has a diverse portfolio with a wide range of design aesthetics . She does not conform to one style, rather looks at the needs of each client and carefully balances form, texture, color, contrast and mixed use of materials to create the best fit. 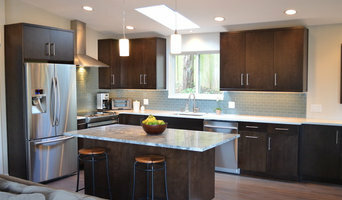 Candace had the honor of being the interior designer for the Northwest Idea House & the South Sound Remodel of the year. Candace's work is a reflection of the people with whom she has worked with and the combination of homeowner-driven needs for function, and design aesthetic. The combination of these two are what make each space so unique. She weighs all options and comes up with the best design solutions to fit the needs of each client. She helps set priorities, solves design challenges and provides expertise and guidance through the decision making process. Candace is committed to design excellence and client service, and believes in an open exchange of ideas through a collaborative process. Collaboration, combined with open communication between the client, designer and contractor are key for a successful project outcome. Candace pushes creative boundaries, and has a discerning eye for the details. She makes sure to stay in connection with what is current by attending national conferences and training seminars. She is also an active member of the National Kitchen and Bath Association and has earned Certified Kitchen Designer credentials as a kitchen and bath specialist. She has a degree in Interior Design and has been recognized and published for excellence in interior design. Feel free to reach out to us, we would love to hear from you! From Our Family to Yours: Schoener is a family owned, award winning interior design center, luxury home furnishings showroom, and residential build and remodels division with an impeccable reputation. For over 30 years, Linda Schoener, and her sons, Matt and Brian, have been dedicated to the complete customer experience and bring a fresh perspective to new construction and custom remodels, provide complimentary interior design, one of a kind upholstery and soft finish creations and an exclusive selection of designer furnishings and accessories. Linda and her professional design staff pay attention to detail to create an atmosphere that marries the lifestyle of their discerning clientele with a unique style, timelessness, and functionality. Linda adds what she refers to as the "WOW" factor to every project through thoughtful planning, selecting quality pieces and insisting on the highest in workmanship. Based in the Northwest, our clientele is worldwide and our passion is fulfilling their design dreams from conception to completion and in scope from simple to exquisite. The Schoener family invites you to align your passion with ours. 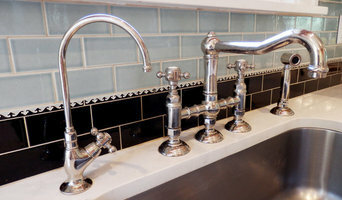 A "Best of Houzz" consistent winner from 2017 thru 2013. Lucy Johnson, Certified Kitchen Designer, is an award winning residential interior designer, specializing in Kitchen and Bath designs. Offering experience with cabinet designs, impeccable material & lighting choices, listening to clients needs and helping them reach their goals. Emily has been working as an independent kitchen and bath designer specializing in architectural color consultation since 2003, when her first paying client literally knocked on her front door in the Phinney Ridge neighborhood in Seattle asking her for help. Emily's lifelong love of architectural color and spaces inspired her to heed the call, and over the next two years she wrapped up her career as an educational consultant to become a full-time designer and color consultant. As the founder of SPACE: A Design Build Collective and Color in Space, Inc., Emily maintained a storefront in Seattle from 2005-2010. She understands the inherent value of teamwork and quality and has a solid network of referrals to implement her design vision. With a focus on budget, Emily can assist you with how to make the most of what you have. She has a strong sustainability value and can suggest "green" products. Additionally, when possible, she values keeping those elements you already have that work, which can simply be improved with a more cohesive design. For cosmetic remodels, Emily has extensive experience in project management and can save you money without paying the 20% contractor mark-up. What does a Newcastle kitchen designer or bathroom designer do? A kitchen and bath design professional in Newcastle, WA knows to take all of these crucial points into consideration and can help plan the layout, materials and overall look and feel of either of these rooms in your home. Kitchen designers, as well as bathroom designers, are constantly staying on top of trends in the ever-changing industry. The designer also knows the best layout for your room, and can configure the layout for optimal functionality and utilization of the space. In the kitchen the refrigerator, stove and sink should be laid out in relation to one another, and it should be seamless and easy to move from one to the other. A Newcastle kitchen and bath designer will know how to work with a contractor and architect to plan the flow of the room to work best for your needs. Here are some related professionals and vendors to complement the work of kitchen & bath designers: Kitchen & Bath Fixtures, Appliances, Tile, Stone & Countertops, Cabinets & Cabinetry, Woodworkers & Carpenters. Before you talk to bath and kitchen designers in Newcastle, WA, consider how you will use the room. For your bathroom, is it necessary to have a bathtub for bathing kids or pets, or would a shower suffice? Perhaps all you need is a half bath for downstairs or a smaller guest bath for occasional use. Similarly, for kitchen renovations consider your cooking habits. Do you eat out every night but need a space to entertain in? If so, a smaller kitchen might be fine for you, with a space devoted to wine storage or a bar, whereas others might prefer a bigger stove or extra cabinets. When interviewing Newcastle kitchen and bath designers, make sure to share these habits so they can best fit the room to suit your needs. Find a Newcastle kitchen designer or bathroom designer on Houzz. Narrow your search in the Professionals section of the website to Newcastle, WA kitchen and bath designers. You can also look through photos in Newcastle, WA to find a kitchen or bathroom you like, then contact the professional who designed it.